Captain Dave's Seafood just across the road! 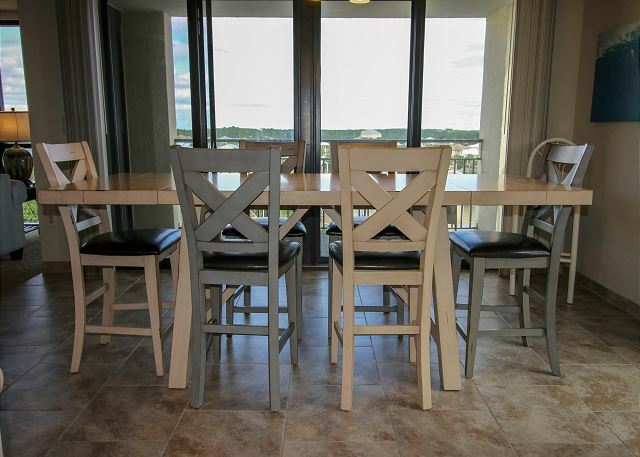 Amazing Views of the beach from the new floor to ceiling windows throughout the condo. 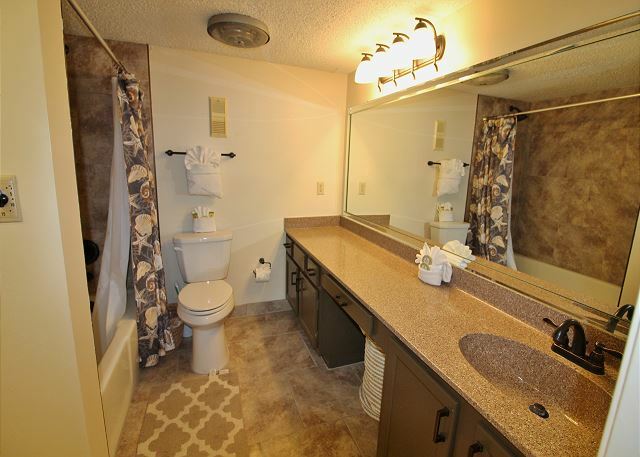 This property will sleep 10 comfortably and comes with many amenities found on larger resorts! 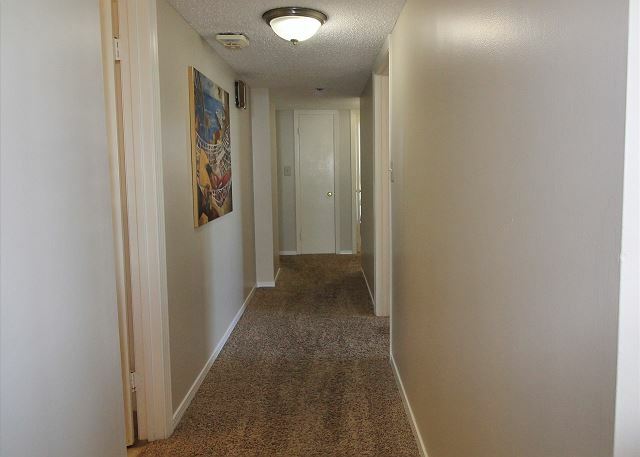 This small condo complex has only 30 units in each tower so there is no wait for the elevator and ample parking available! 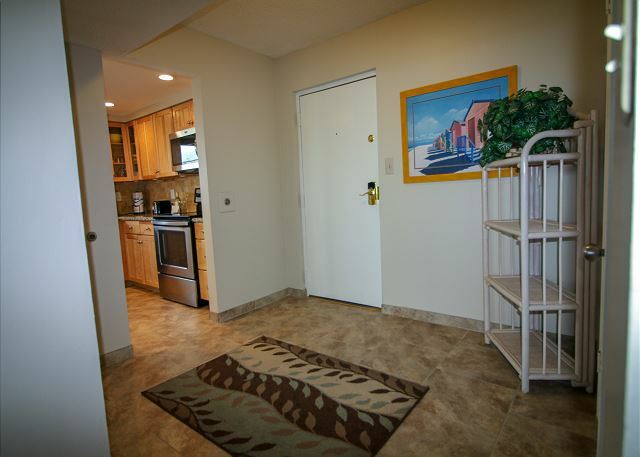 Quick, easy, access to the beach as well! Saturday to Saturday rental during the peak season! Enjoy your stay at The Enclave 605A during 2019 and know that you are supporting Hurricane Michael relief. 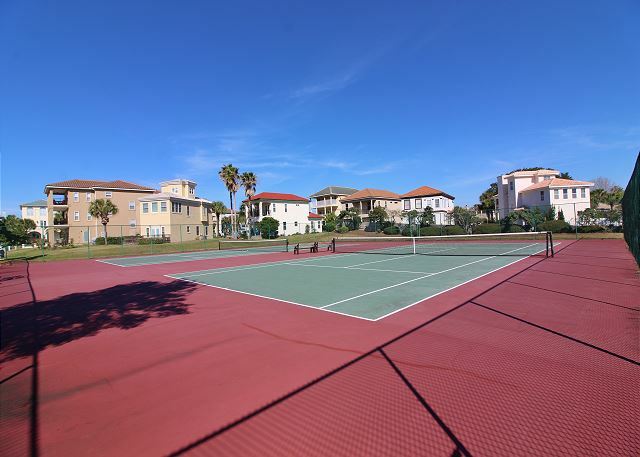 The owners have committed 10% of rental proceeds to Destin United Methodist Church for their relief work In Fountain, Florida. Fountain, is a small community north of Panama City, that was hard hit by Hurricane Michael. >>> Durning your stay at The Enclave you can attend Destin United Methodist Beach service at 7:30am each Sunday at the Crab Trap, a 10 minute walk just west of the Enclave or check their website for other services and updates on hurricane relief! It was beautiful, liked the big table, the 3 bedrooms worked out nice. 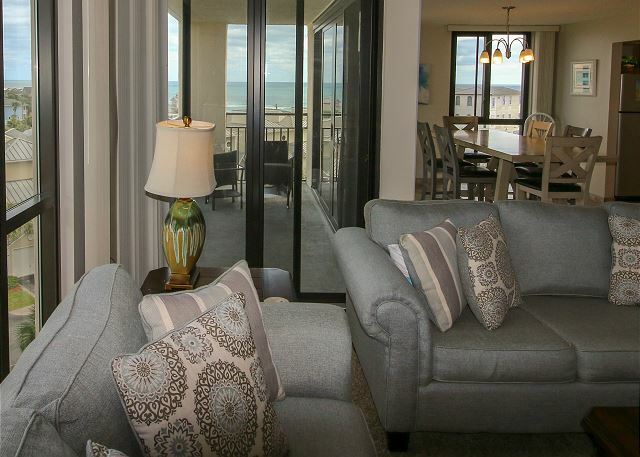 Thank you for sharing your review for The Enclave 605A in Destin, FL. 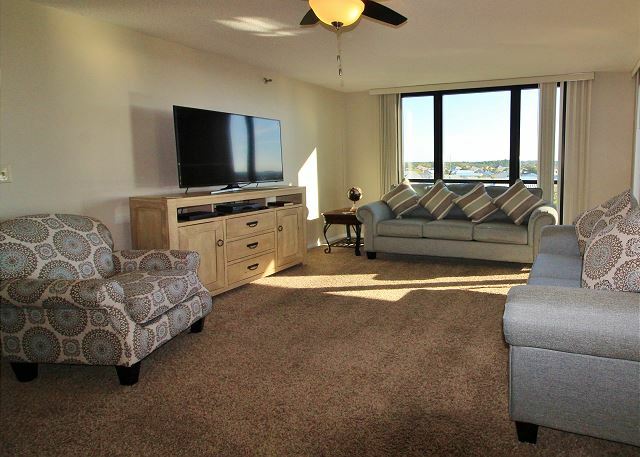 We are so pleased to know that you all had a nice stay in this beautiful condo and we hope to welcome you back again soon as our guests for another Destin Beach Vacation stay with Harmony Beach Vacations! Very good location. 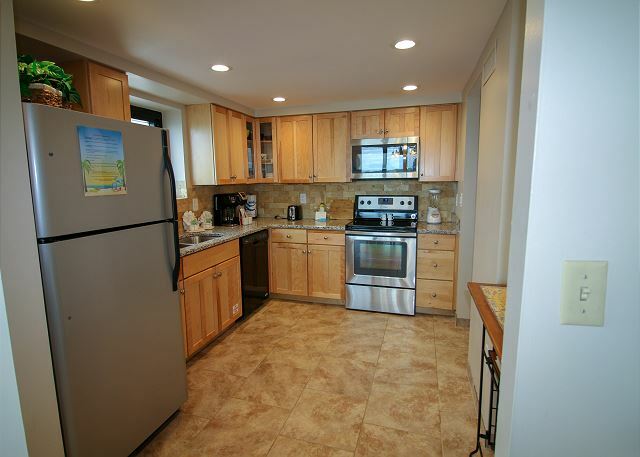 New remodeling in kitchen and baths with nice new furniture as well. Could use an upgrade in the mattresses soon but were ok. Thank you for sharing your review for the Enclave #605A. We are happy to hear that you all had a nice stay and that you appreciated the new updates for this beautiful home! 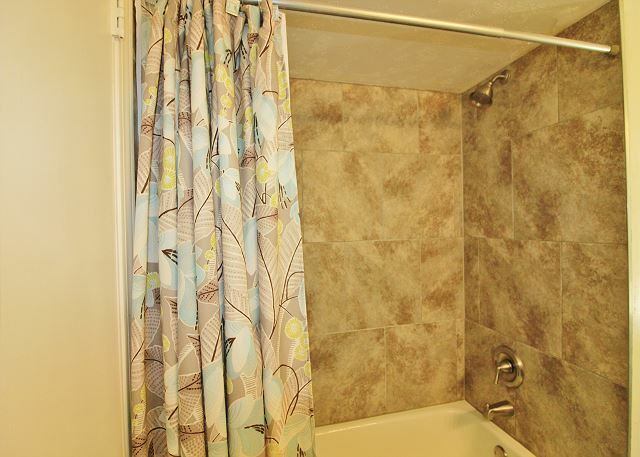 We thank you for your feedback, homeowners are glad to have our guests' input. We look forward to welcoming you all back again soon for another beach vacation stay with us here in beautiful Destin, FL! Perfect for what we wanted out of our trip! 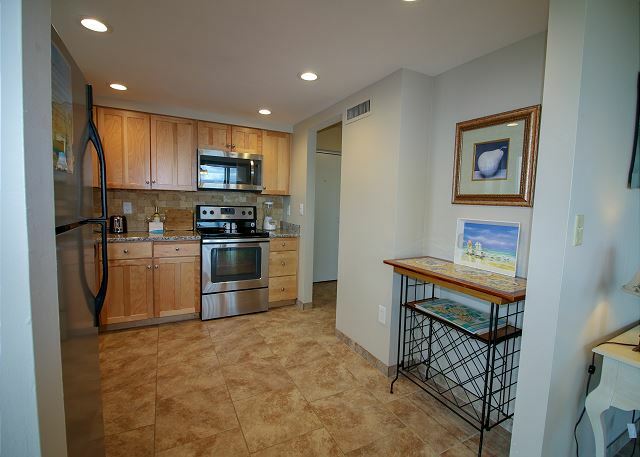 Walking distance to the beach (less sand in the car) and walking distance to great restaurants! 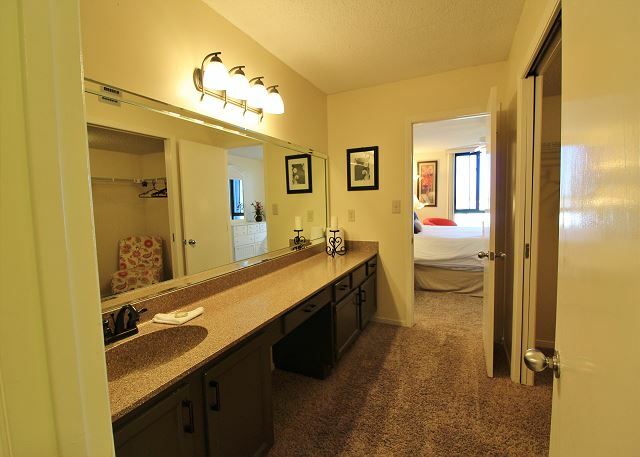 The condo was perfect, except the outlets in both bathrooms were not working, which makes doing your hair difficult. And the ceiling fan/light in the smaller room didn't work either. However there was a lamp and the A.C. was awesome so we didn't really miss the fan. We would stay here again in heartbeat! And NO BUGS!!!! I grew up in South Fl. and bugs are just a part of life in Fl. but I was pleasantly surprised to never encounter a single bug, not even an ant! Thank you for sharing your review for Enclave 605A. 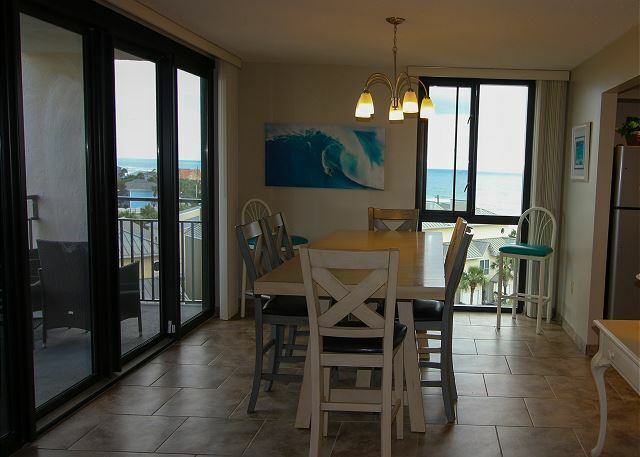 We are delighted to know that you all had such a wonderful beach vacation stay in this beautiful home and that you so enjoyed the ease of access to the beach! We apologize for any issue with the outlet or light, and we will look into this. Thank you for letting us know. We would have been most happy to come by and remedy any issue for you during your stay. 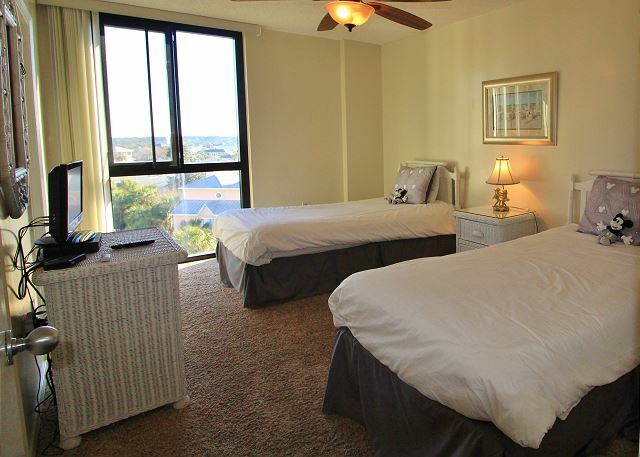 We hope to welcome you all back again soon as our guests for another wonderful Destin Beach Vacation stay! 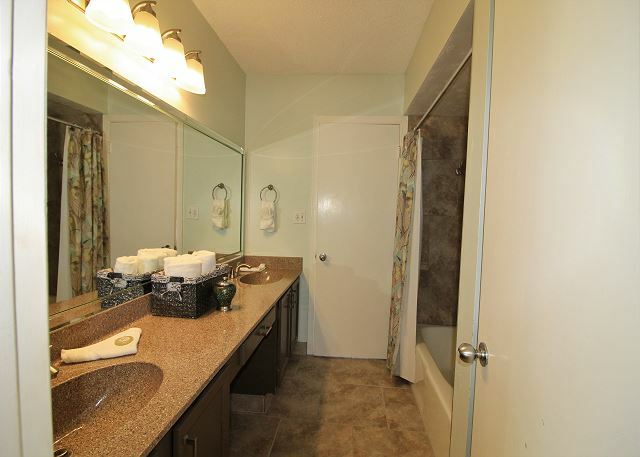 The condo is very centrally located, clean and comfortable. 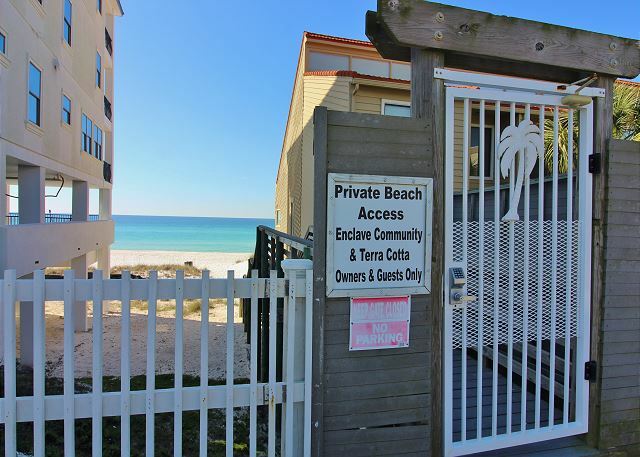 Thank you for sharing your review for the Enclave #605A in Destin, FL. 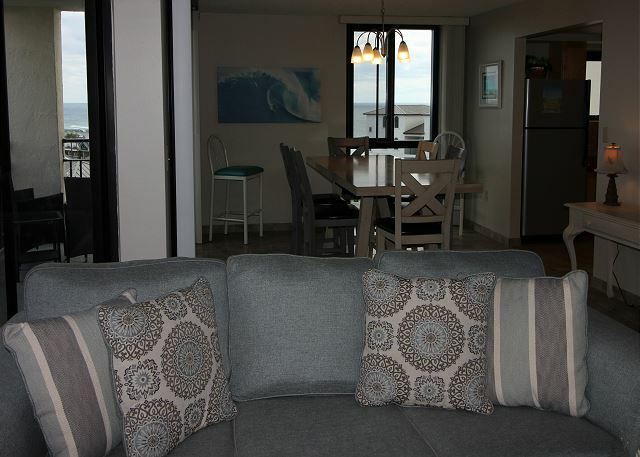 We are so pleased to know that you had a great stay with us and that you enjoyed this beautiful home along with the great beach area location! We hope to be able to welcome you back soon for another wonderful beach vacation stay with us at Harmony Beach Vacations, here on Florida's Emerald Coast! Thank you for sharing your review for the Enclave 605A. We are so pleased to know that you all enjoyed this beautiful home and that you enjoyed the gorgeous gulf views and amenities! We hope to be welcoming you all back again real soon as our guests here in Destin, FL for another wonderful beach vacation! 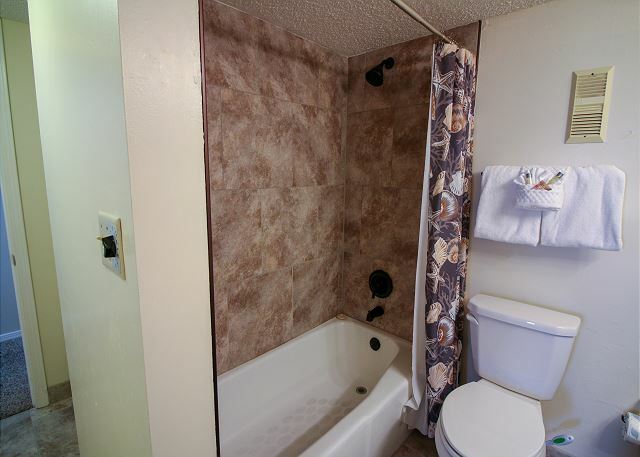 The condo building was in perfect location, and was very clean and came with everything you need for a stay away from home. We will definitely be back! Thank you for your review of the Enclave 605A. We are so pleased to know that you all had a perfect vacation stay with us in this beautiful home! We look forward to having you all back again as our guests here in beautiful Destin, FL! I enjoyed my stay at the enclave. 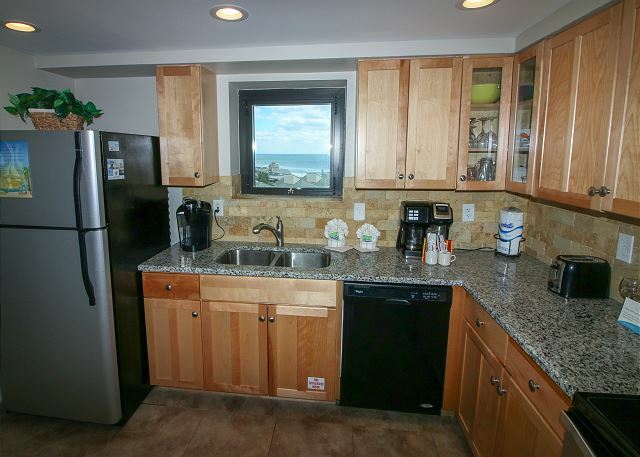 It was affordable and accessible to the beach. The only thing I think they could improve on furniture upgrades and having better washer & dryers. Thank you for sharing your review. 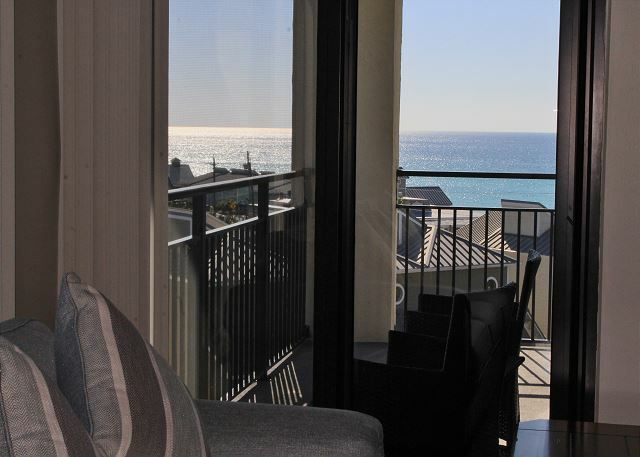 We are delighted to hear that you enjoyed your stay in this beautiful home and that you also appreciated the ease of beach access! 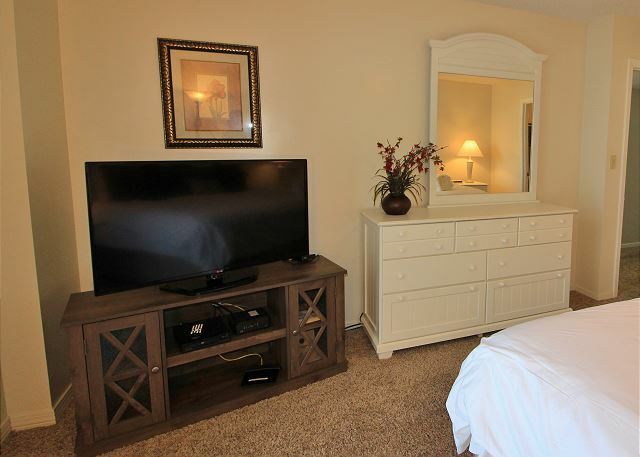 We thank you for your suggestions as well, we highly value hearing our guests opinions about our vacation rentals. We would love the opportunity to welcome you all back soon for another stay with us! We enjoyed our stay at the Enclave. The pictures of the unit are accurate. 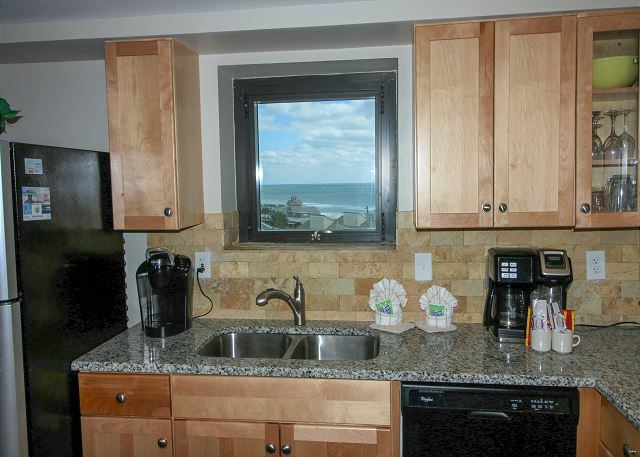 Partial ocean view from the balcony and kitchen and dining room windows. Very short walk to the beach. The unit was clean and comfortable. Nice outdoor pool. The The only downfall is not having a washer and dryer in the unit. You have to pay $1.00 per load to wash and $1.00 per load to dry. Sometimes it would take extra to dry the towels. So, make sure you take plenty of quarters. Thank you for sharing your review for the Enclave 605A. 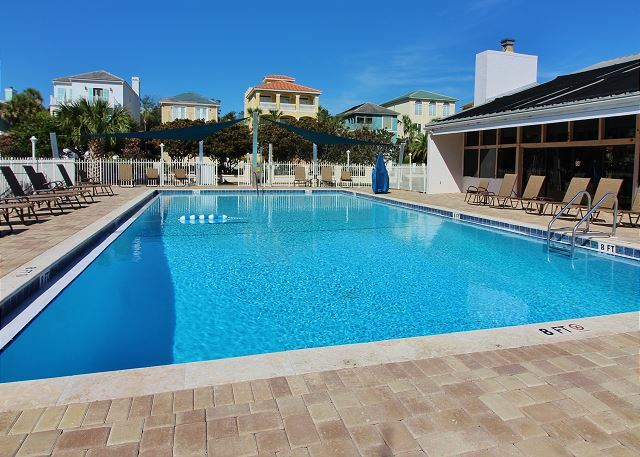 We are so happy to hear that you all had an enjoyable stay with us in this beautiful home and that you enjoyed the short walk to the beach, the Gulf Views, and the beautiful pool! 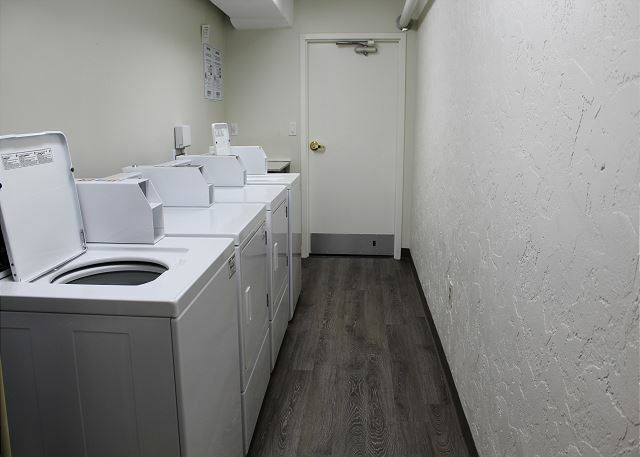 We thank you for your feedback about the laundry. We do have quarters available at our office just down the beach. 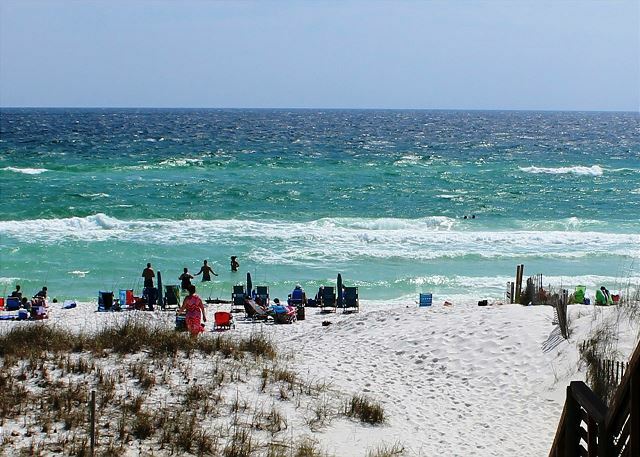 We would love to welcome you all back soon as our guests here in beautiful Destin, FL! The Enclave condo we stayed in was clean, quiet & very roomy. We loved that it was super close to the beach. Harmony Beach employees were very friendly & helpful. We will be returning!! Thank you for your review for the Enclave 605A and for your kind words! 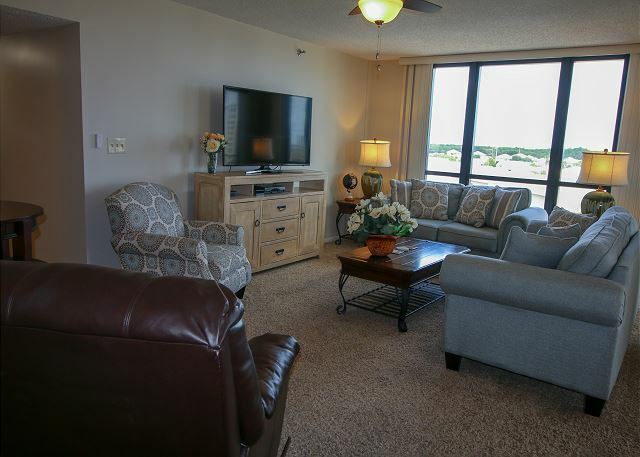 We are so happy to hear that you all had an Amazing stay with us in this beautiful condo and we look forward to welcoming you all back soon for another Destin Beach Vacation! Thank you for sharing your review for the Enclave 605A. 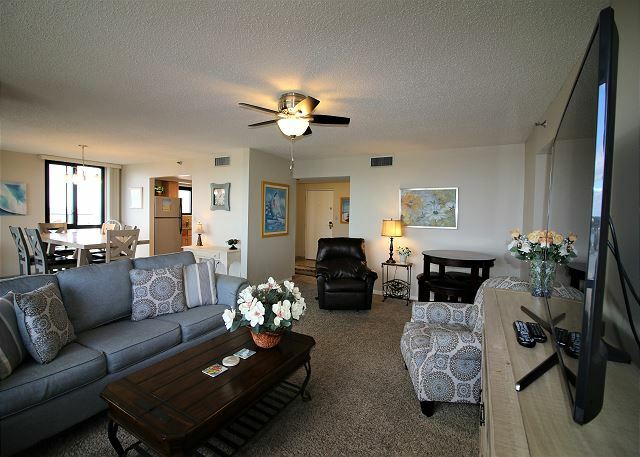 We are so pleased to hear that you all enjoyed your stay in this Destin Condo! We would be very happy to welcome you all back soon for another beach vacation stay with us! Our visit was exceptional. The home was the perfect size for my family. We were looking for a spot in middle of the drive from Tampa to Lake Charles so that our family could meet and vacation. This spot was perfect! Will definitely return for future vacations! Thank you for sharing your review for the Enclave 605A. We are so happy to hear that you all found the perfect meeting place for Family visits! We look forward to having you all back soon for another wonderful reunion at the Beach! We had a great time.We had plenty of space. I loved being able to open the windows.The wagon was very handy. The master bedroom mattress was comfy however, the other mattresses were just okay. Other than that our room was great! Thank you for sharing your review for the Enclave 605A. 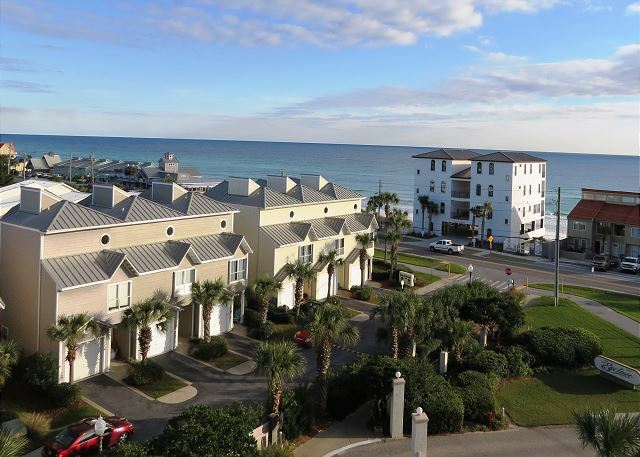 We are delighted to know that you had a great time in this home on your Fall Break getaway to the Beach! We would love to welcome you all back soon as our guests in Destin, FL! Everything was great. Loved our condo and would come back again and again. Thank you for sharing your review. 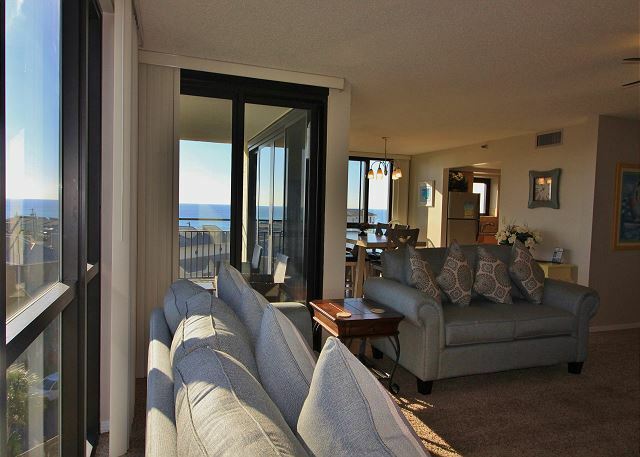 We are so pleased to hear that you all enjoyed your Family vacation at The Enclave #605A in Destin! We would love to have you all back as our guests again and again! Thank you for sharing your review. 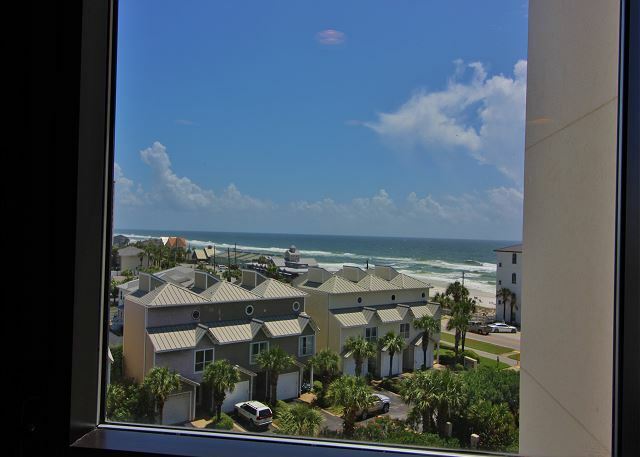 We are pleased to hear that you all had a pleasant stay with us at The Enclave 605A for your Family Vacation and first time in Destin, FL! 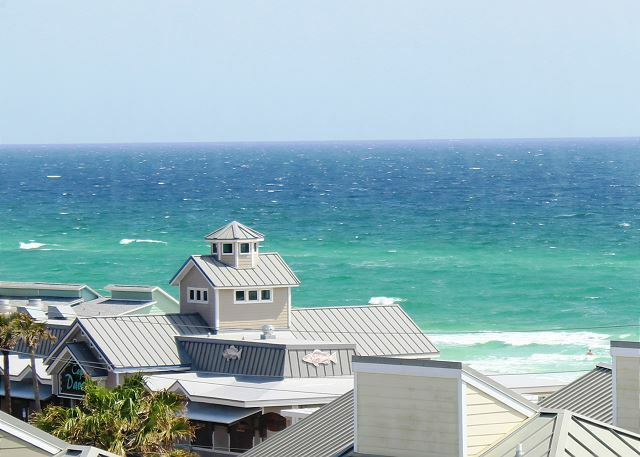 We would love to welcome you all back soon for your 2nd Destin beach vacation! We had a wonderful stay!! 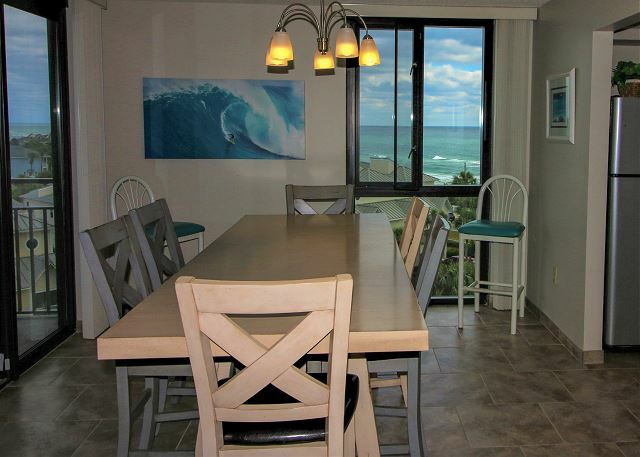 The condo was beautiful the view was perfect and we loved we could walk to the beach and dinner. The only reccomandation would be new skillets for cooking eggs, hash browns etc those were awful everything stuck and there wasn't a pan large enough to make things for a large group need Teflon pans!! Also more dish cloths to was and dry dishes! Our dishwasher didn't work right the water didn't empty out and not one of the screens shut on the Windows! Otherwise it was Wonderful ?? Thank you for sharing your review and suggestions. We are very happy to hear that you all enjoyed your stay with us! We regularly restock kitchen supplies for our homes, so we will consider your suggestions for this. We hope that you were able to contact our office for the dishwasher issue and in supplying extra washcloths, as we are always happy to assist our guests with any difficulty they may experience. We desire everyone to have a worry free vacation with us and we are always available to our guests. 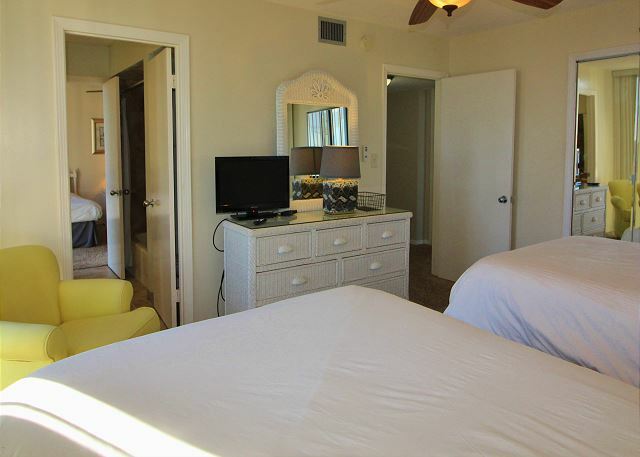 We would love to welcome you back soon as our guests on the Emerald Coast! This is a amazing place to live with family and friends . We got everything in this facility what we needed . Even kids enjoyed a lot with easy access of beach and pool. The 2nd bedroom having 2 twins bed which need some repair but it was manageable. We had a nice time at destin. I will recommend my friends to stay here. We absolutely loved this rental! 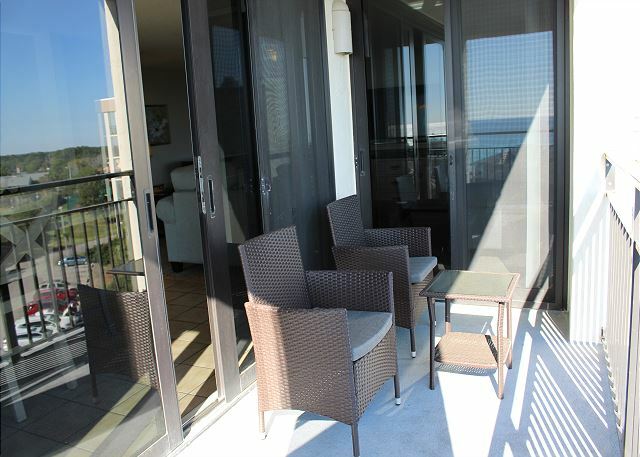 Ocean views from the kitchen and balcony, spacious, and felt just like home! Staff at Harmony were extremely courteous, friendly and helpful. Our next trip to Florida will include this destination. Thank you for sharing your kind review. We appreciate having you as our guests and we would love to have you back soon as our guests in Destin! 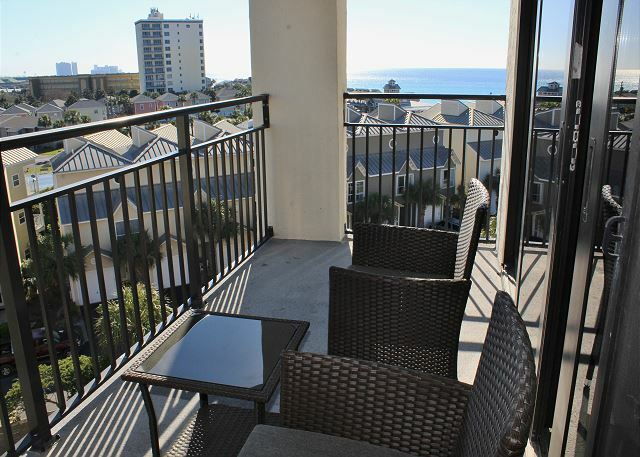 The Enclave is located very, very close to the beach with reasonable pricing. Thank you for sharing your review. We are so happy you all enjoyed your stay and we hope to have you back soon as our guests at the beach! The property is nice. Beach access is right across the street and beach was not extremely crowded. The condo itself was nice, but has a lot of wasted space. 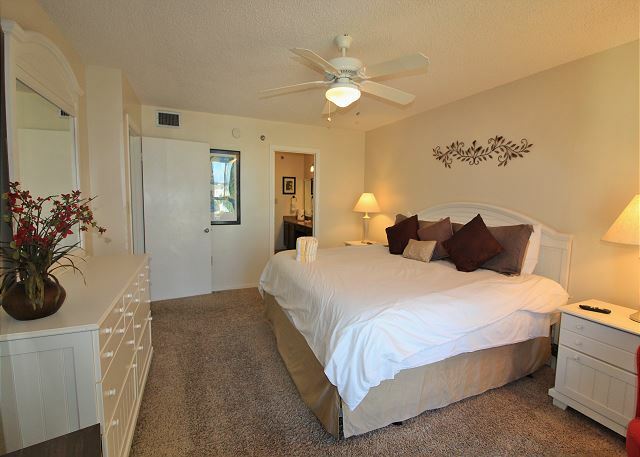 The master bedroom closet is large enough that you literaly could blow up an air matress and sleep there. 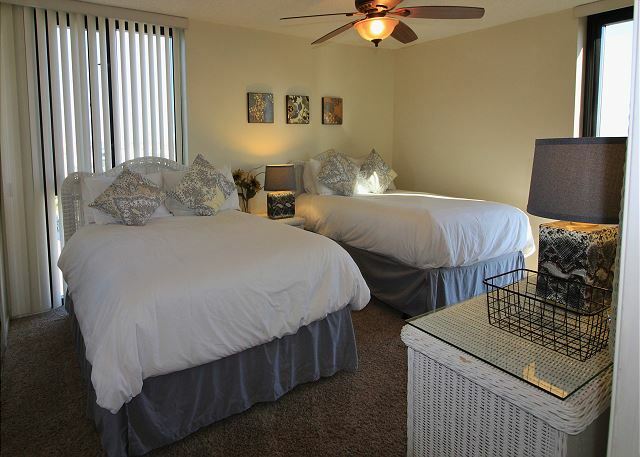 The second bedroom would be perfect if it had queen beds instead of full size. The biggest downfall is the washer/dryer situation. The closet at entrance is large enough to house W/D, but instead you have to go out in the hall and use community, pay per use facilities. Thank you for sharing your review. We are so glad you all enjoyed your stay at the beach and we hope to have you back soon as our guests! This was my first visit to Destin and loved every minute of it. Our condo was lovely, clean, very spacious and close to everything. The only snag was the beach access. While the Enclave guests have private access to the beach, they do not have a very big area in which to set up an their chairs and umbrellas. We were asked to leave an area which we were told was designated for other condo guests. I understand there is an ongoing dispute amongst the condos as to the legality of "owning" the beach. It would be nice to get that resolved. However, I would definitely stay at the Enclave again. We love this Vacation Rental. This is our 2nd time coming to Enclave and it is such a wonderful place to vacation. We plan to come again next year. 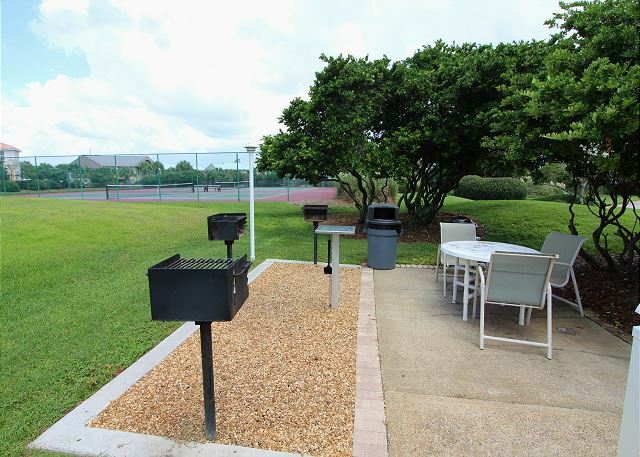 We are also interested in purchasing a unit in this special spot. Thank you for sharing your review. We are glad you all enjoyed your stay and we hope to have you back as our guests soon! Please call us anytime you would like information about real estate agencies. Our stay was only for 1 night, because we booked a hotel room for our weeks stay and decided we wanted one more day before we headed home. Wish we would have found this place earlier, so we could have enjoyed Enclave for the entire week! 9 people had a very good time the condo was super.